I’m doing a double feature for Vista Pinas this time: Robinsons Starmills Pampanga in the previous post and SM City Pampanga in this one. I think it’s apt since these two malls of the two largest mall operators in the Philippines stand right across each other in San Fernando City and adjacent to the San Fernando Exit of the North Luzon Expressway. I don’t know of any other pair of SM and Robinsons malls that are closer than these two. Photo from the website of SM Prime Holdings. 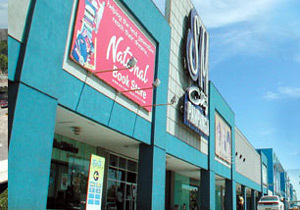 Anyway, SM City Pampanga is the earlier of the two malls and was finished back in November 2000. Upon completion of its 3 annexes, the mall now has a total retail floor area of about 13 hectares. Among its anchors include various other SM properties like the SM Department Store, SM Supermarket, SM Cinemas, SM Appliance Center, Toy Kingdom, and ACE Hardware. Should you wish to know more, there’s a good enough Wikipedia article and a kinda useless official webpage. Hehehe. hi i just want to ask if u r still hiring. how can i send my resume?thank you.hope u can reply.